The Susan B. Anthony dollar coin was issued for only four years, but it remains a popular coin among new and experienced collectors. While most of the Susan B. Anthony coins are inexpensive and can often be found in pocket change, there are several varieties that are more valuable for coin collecting. So, how much are Susan B. Anthony coins worth? Find out below. The Susan B. Anthony coin is the first coin to feature a woman. The obverse side features a profile of Anthony, a pioneer for women’s rights, and on the reverse, an eagle above the surface of the moon to commemorate the Apollo 11 moon landing. Susan B. Anthony coins are roughly the same size and color as the George Washington quarter, which made it unpopular with the public who often confused the coins. That’s why the coin was produced in larger quantities in 1979 and 1980 before production was limited in 1981 to inclusion in collector’s sets only. It was produced again for one year in 1999 after the U.S. Mint’s supply of the 1980 Susan B. Anthony was exhausted. How much are Susan B. Anthony coins worth? 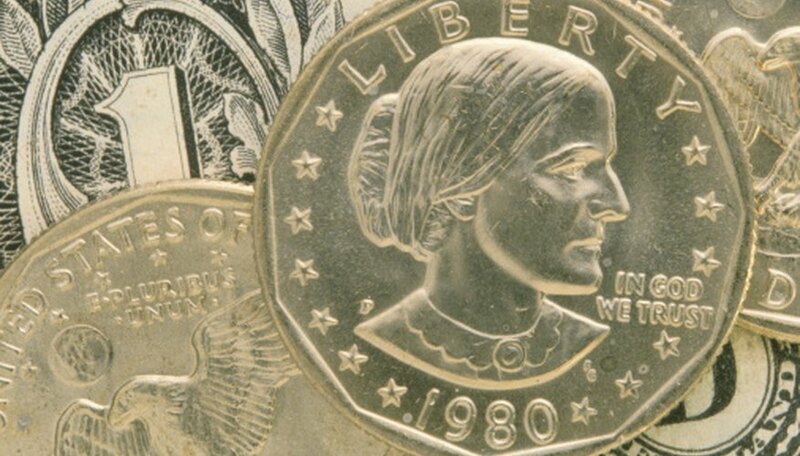 There were only 11 Susan B. Anthony coins made by the U.S. Mint. It is available in P, D and S mint marks for 1979, 1980 and 1981, with the 1981 coins only available in uncirculated mint and proof sets. The later printed 1999 coin is available only with the P or D mint marks. Most Anthony dollars are worth face value but there are several varieties that command more. The most expensive dollar coin varieties are found in the 1979 and 1981 proof sets. Each year includes distinctive S mint marks varieties: Type I and Type II. The cleaner Type II S mark or “Clear S” from both years is less common. Depending on the condition, they can bring in upward of $100 as of August 2009. The other prominent variety of the coin is the 1979 P “Near Date” (also known as the “Wide Border”) that features the year closer to the outer border of the coin. This variety is not difficult to obtain, but high-grade examples can be tough to find. Depending on the condition, one can bring in the area of $10. Matt Histand is a professional writer who lives in the Philadelphia area. He most recently covered the promotional products industry as senior editor of "Counselor" magazine. There he won several writing awards, including an ASBPE in 2008. He has written about various topics from finance and business to fashion and entertainment.